Overall, Nancy and I didn't perform great. Neither of us qualified for the World All-Around Championships next month in Berlin. But that's the life of an athlete, unless maybe you've risen to the title of Champion in your sport and when you're at the top it's a little easier to stay at the top for a while. But we're both not at the top, yet. 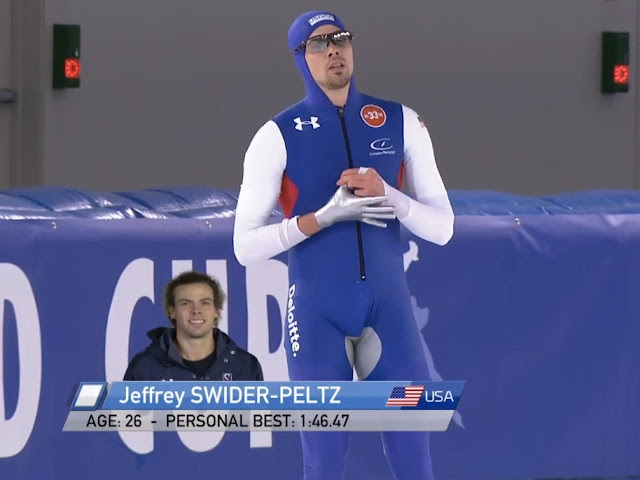 Nancy and I had a great US Championships a few weeks earlier, but sometimes race weekends just don't turn out if one (of countless reasons) hasn't prepared your body and mind just right for that weekend of racing. 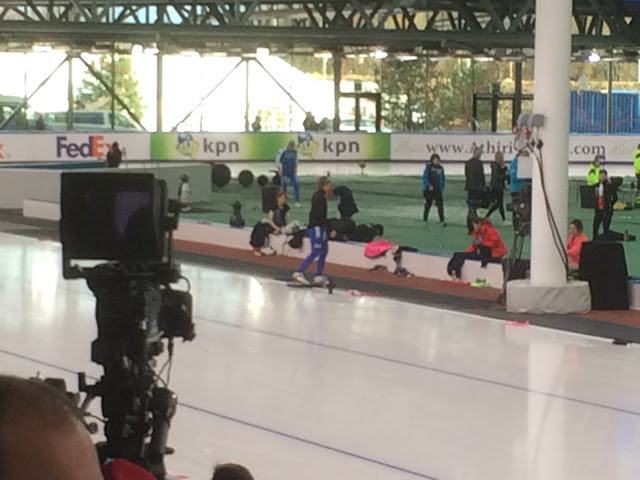 Now as the speedskating season shuts down during the next couple months we both have to figure out which competition we will finish the 2015/16 season with! We just want to continue to say a sincere thanks for all the thoughts and encouragement from you all out there, we gave it our best! 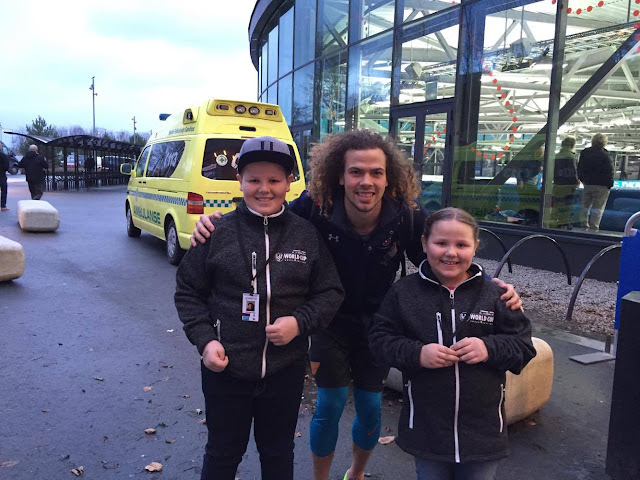 Andreas' 7 year old sister Adele also speedskates. 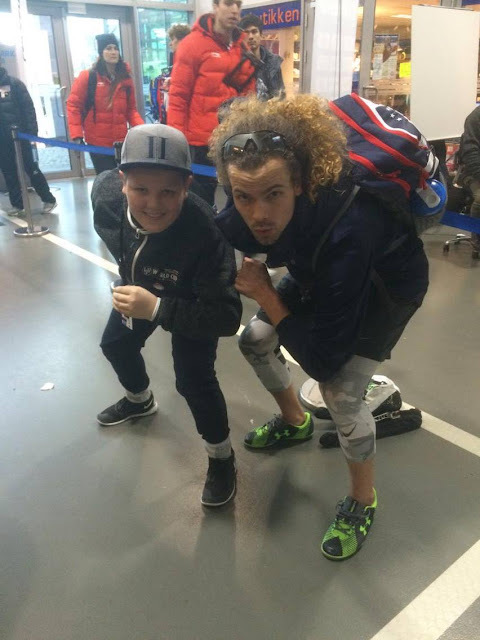 The next brother/sister speedskating duo for Norway? Erik Gilmore. Our Norwegian/American friend who we trained with in Milwaukee when he lived there for 3 years. Haven't seen him til this weekend! 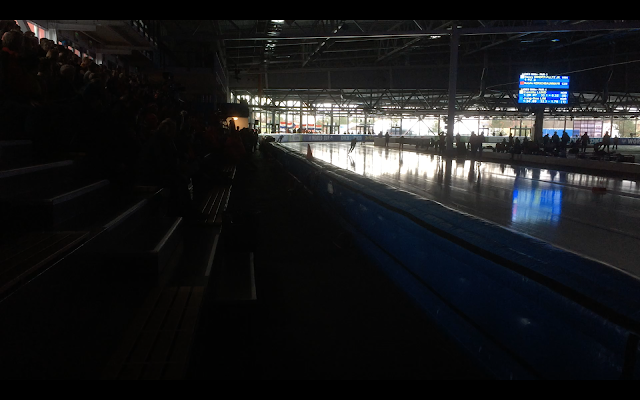 One of the crazier things that happened this weekend was that the lights completely shut off during Nancy's 5000m race! 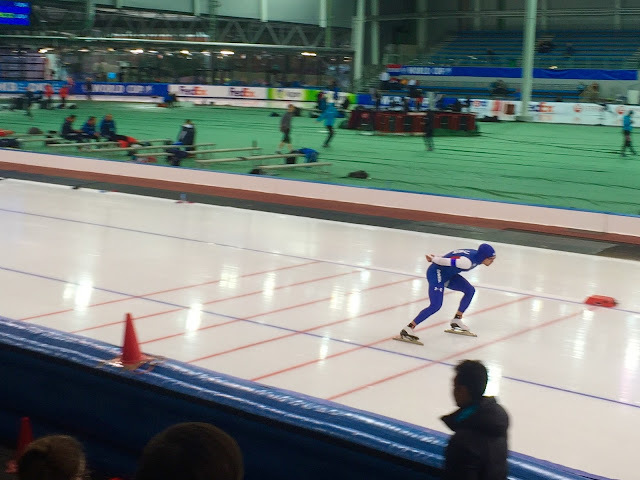 Nobody was sure if the (quad of) skaters were going to keep going but all four of them finished–it was kind of cool to see.